Perhaps as many as 4,000 brick-and-mortar stores have closed in the United States since last year, creating what some are calling a “retail apocalypse.” This would-be industry-wide meltdown can teach other, still operating, retailers at least three lessons about growth and investment. It could be argued that many of the floundering retail chains failed to invest in people — both employees and customers — and the technology needed to serve those people. American Apparel is a manufacturer and retailer that has declared bankruptcy twice since 2015. Image: Scott Webb. Through June 2017, U.S. retail sales were up about 4 percent compared to the first six months of 2016, according to U.S. Census Bureau data released July 14, 2017. 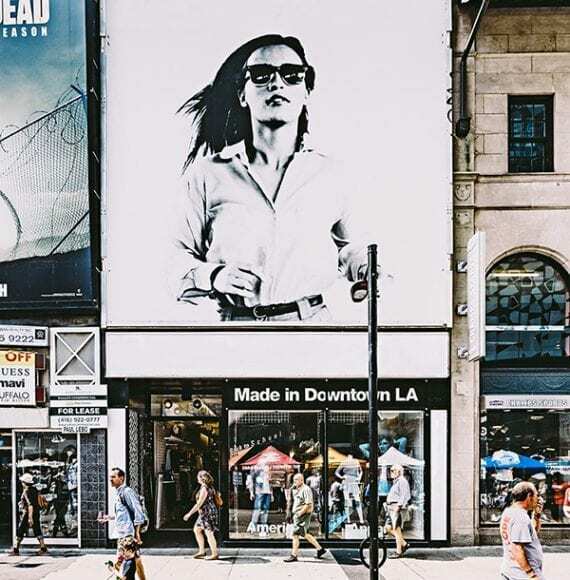 Several reports estimate that somewhere between 2,500 and 2,800 new, physical retail stores have opened this year, offsetting some of the aforementioned closures, and in some areas, retailers are having trouble hiring enough employees. So while it is worth noting that retail sales growth is slow and there have been more store closures than store openings, the industry is not on the verge of collapse. “Talk about the death of retail is great click bait. Media outlets from The Wall Street Journal to Fortune to USA Today have trumpeted news about store closings, retail bankruptcies, and the end of retail as we know it,” wrote Paula Rosenblum, co-founder and managing partner of RSR Research, a retail analysis firm, in a Forbes article from May 2017. 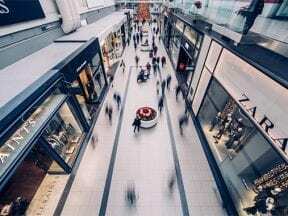 The retail chains that are suffering, going bankrupt, and closing stores are a symptom of poor management and a lack of investment more than they are an indication of the retail industry’s health. Not investing in these areas stunts growth, and can lead to serious problems. Online shopping is often blamed for the recent demise of so many retail stores. But the real problem is that the failing retail businesses did not understand how or why their customers’ shopping preferences were changing. Customer intelligence describes the act of gathering, organizing, and analyzing information to learn who your customers are, what they do, and why they buy. Customer intelligence should be used to help a retail business make strategic decisions. In the first quarter of 2009, online sales accounted for 3.8 percent of total U.S. adjusted retail sales, according to the U.S. Census Bureau. Three months later, ecommerce accounted for 4 percent of adjusted retail sales. Six months later, it was 4.1 percent of the total. In the first quarter of 2017, online sales accounted for 8.5 percent of total U.S. adjusted retail sales. U.S. ecommerce sales have grown steadily for years, gradually earning an increasingly greater share of the total U.S. retail market. This should not have been a surprise to the stores going bankrupt this year. The transition to ecommerce was predictable and could have been used to grow these businesses, not break them. Graphic: YCharts, using Census Bureau data. Ecommerce did not pounce on unsuspecting retail businesses. Rather, companies — which should have recognized almost a decade ago that their customers wanted the option to shop online — failed to act. Every one of the now bankrupt retailers had the opportunity to grow their businesses online but did not. In fact, these retailers had a significant competitive advantage from the beginning since they already had established shoppers. The lesson here is to listen to your customers. Invest in data, research, and analysis to help your retail business succeed. Mid-market retail businesses have an opportunity in this market if they can understand and meet customer needs and wants. Shoppers have an abundance of choices. There are hundreds of stores, online or down the street, that sell similar products at similar prices. Even items that a business manufactures may still have substitutes or alternatives in the marketplace. One way to compete and grow in an atmosphere of product abundance is to differentiate. For retailers, this can mean focusing on how you sell as much or more than what you sell. If a retailer can provide a better — i.e., differentiated — shopping experience, that retailer may succeed. Returning for a moment to some of the retail chains that are closing stores or going bankrupt in this year’s retail apocalypse, it can be argued that they failed to invest in business technology. Mid-market retailers should seek out technologies that help them differentiate, especially online. For example, is personalization something that would help? What about an artificial-intelligence chatbot to answer common questions when they arrive in the middle of the night? How is your company collecting and using shopper behavior data? Mid-market businesses may find the best value using open, scalable technologies. “Retailers are in a death spiral. For decades, they have hired relatively unskilled people who they pay terribly,” wrote Jeffrey Pfeffer, professor of organizational behavior at Stanford University. Some of the failing stores were among the worst at paying and training employees. Don’t make this mistake, even if your business is purely an online operation. Mid-market retailers should invest in employees in at least three ways. Pay well. Workers, particularly those with direct customer contact, should be well compensated and content. Train well. Deploy a learning management system to ensure you are helping your workers learn and improve. Hire remotely. When possible, don’t limit your employees to a particular location. Sure, someone packing orders will need to come to your warehouse to work, but a customer service representative, marketing manager, or web developer can be anywhere. When you hire remote, you can choose from a larger pool of skilled workers.